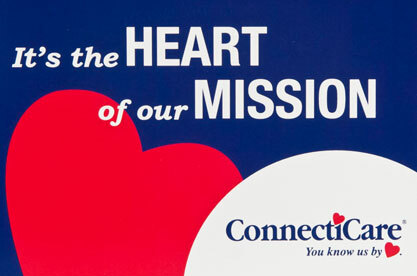 The health insurance provider, ConnectiCare, was looking for a compelling new medium to reach prospects and convey the benefits of the ConnectiCare Total Health Management Strategy. They pioneered a comprehensive approach to help individuals become actively engaged in managing their health. Services include assessing employee health risk, making lifestyle improvements and managing chronic health conditions. 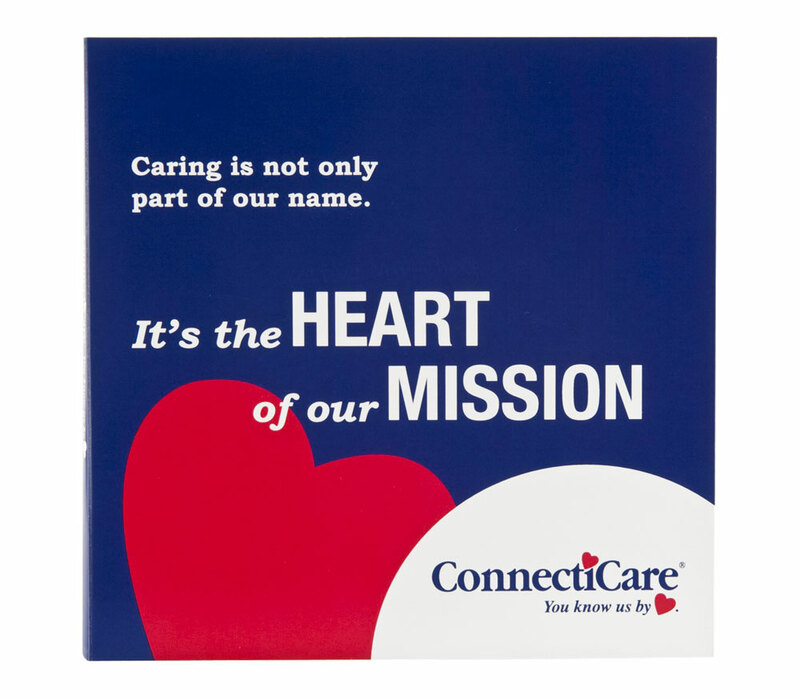 Central to their success is the Case Manager system which matches each member with a personal care giver. The care giver becomes an integral part of the individual's health plan and they often form a close bond. 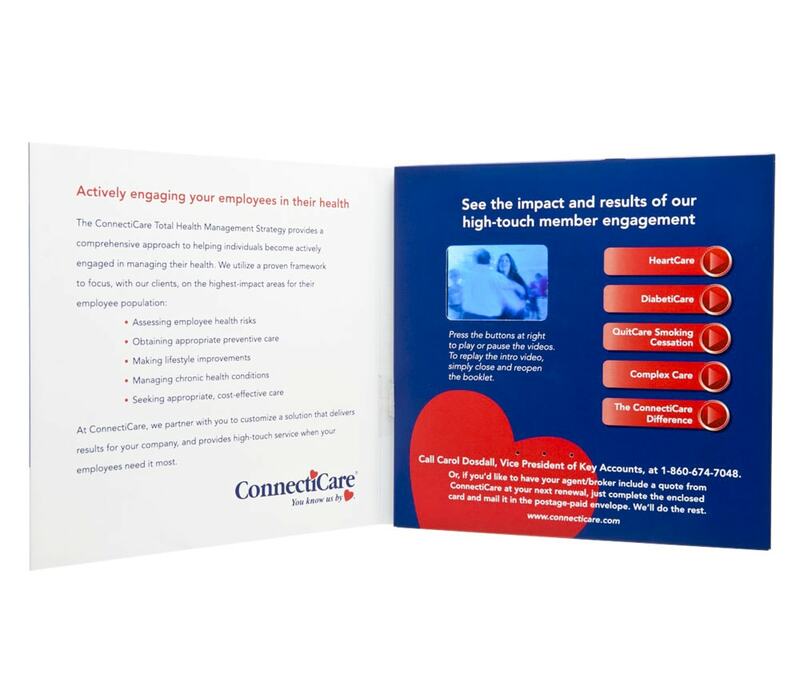 ConnectiCare and their agency, Decker Creative Marketing, worked with Americhip to produce a 2.4” direct mailer to convey the benefits of the program to prospective clients. Four chapter buttons feature members giving speeches where they thank their care givers at a company event. The heartwarming testimonials, often followed by tears and hugs, effectively highlighted their close relationship in a way that text alone never could. As a call to action, the contact information for the recipients account representative was conveniently listed on the mailer.